Are you headed to watch Avengers Endgame? 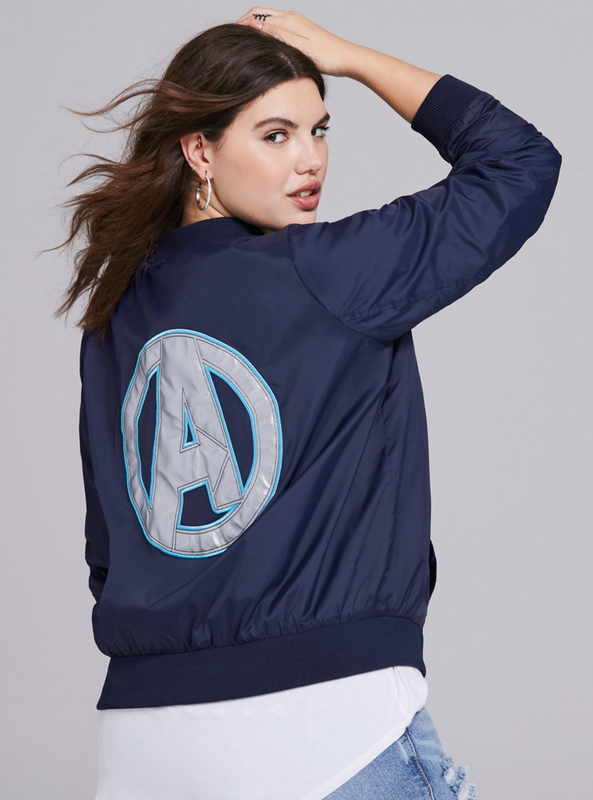 Before you do, make sure you pick up and rock a piece from Torrid’s Avenger Collection with Her Universe! Calling all Avengers fans! Have you scored your tickets yet to watch the Avengers Endgame? News for the pre-sale tickets has crashed AMC’s site, many are planning watch parties, and with the latest trailer that released, to say that folks (us too) are on edge, is an understatement. 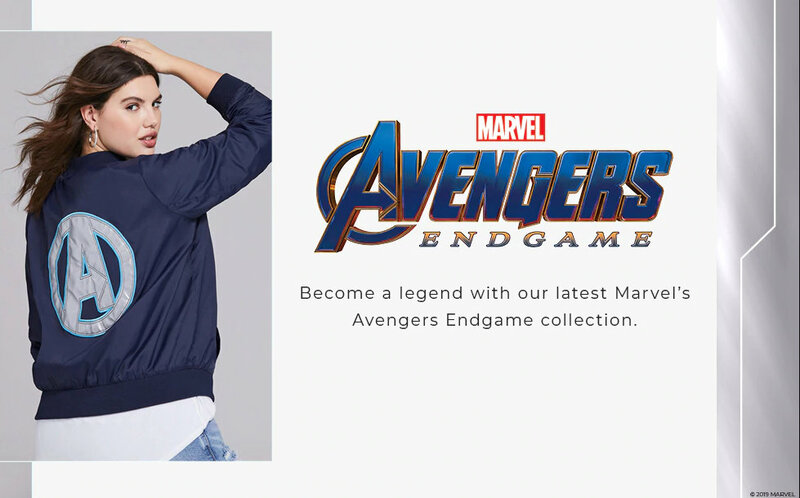 But as you plot your watch strategy and try to decipher the latest clues from the trailer, Torrid is here to make sure that you can watch, attend, and support your favorite Avenger character in style! What is a Marvel movie without your much-needed Marvel gear? No stranger to a licensed partnership, Torrid has consistently given us capsule collections, including Hello Kitty, Betty Boop, the latest from the Marvel family and more… do you remember the Empire collaboration? But today? Torrid drops their 12-piece limited collection, in an exclusive collaboration with Her Universe. 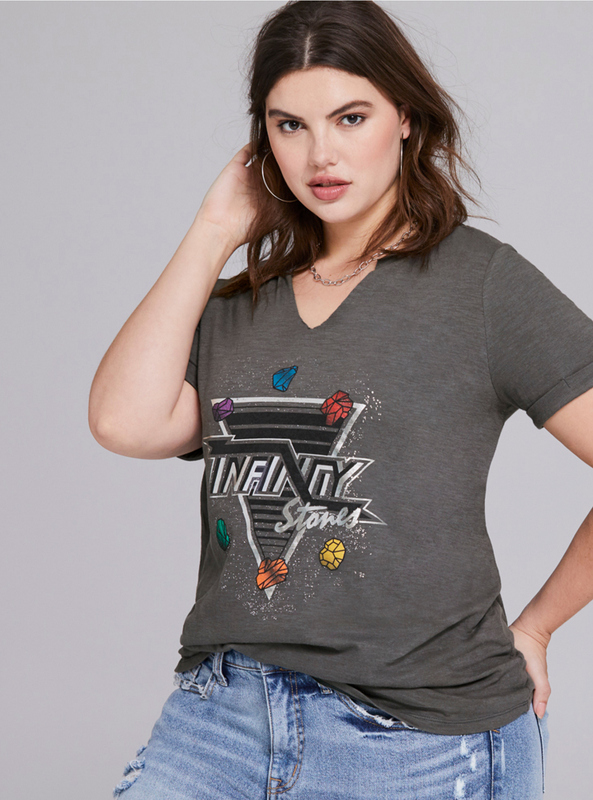 This plus size collection gives the Marvel fangirl a few options to show her love and support for the Avengers! How much fun are these pieces? 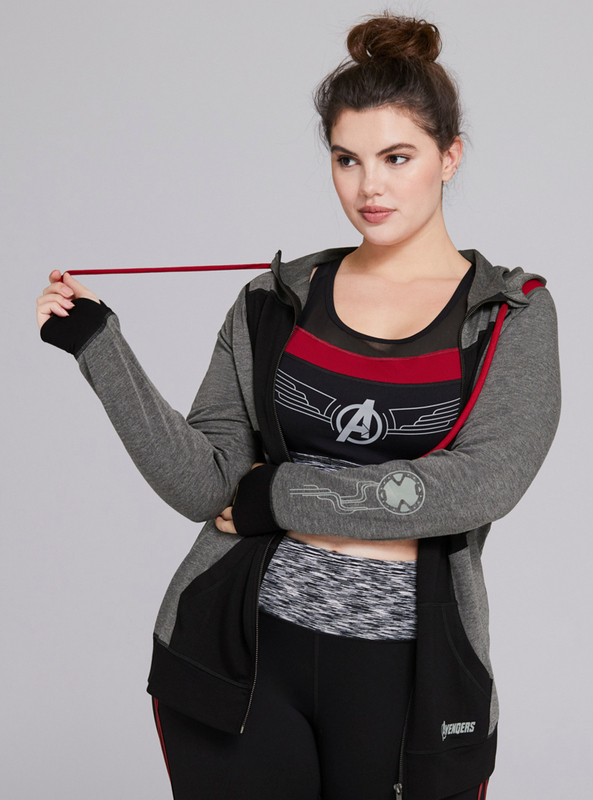 I have to say that the Avengers jacket and the plus size activewear pieces are an instant favorite of ours. Cute, right? 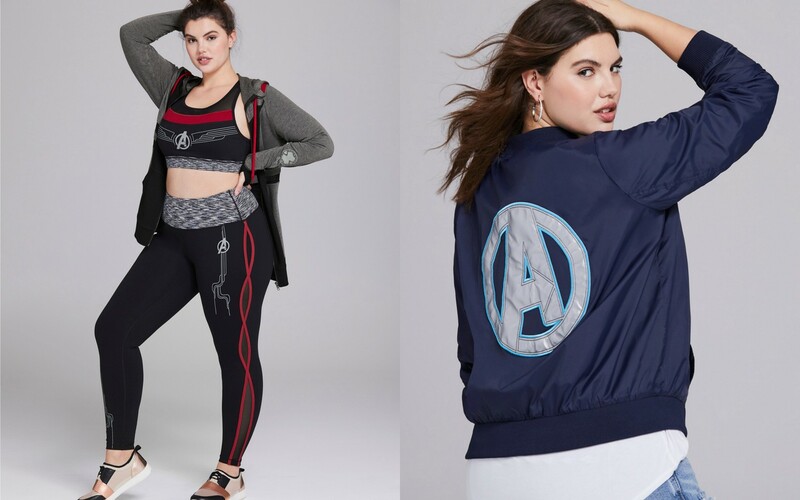 These are only a few of our favorites, but this Avengers collection features “sleek jackets, tops, dresses, sleepwear, and activewear” with Torrid’s own spin up through a size 30. With this collection, you have the chance to rock the Avengers logo in playful pieces to give you your ideal look! The only question is which Avenger badass will you channel? Captain Marvel, Okoye, Nebula, or Black Widow? 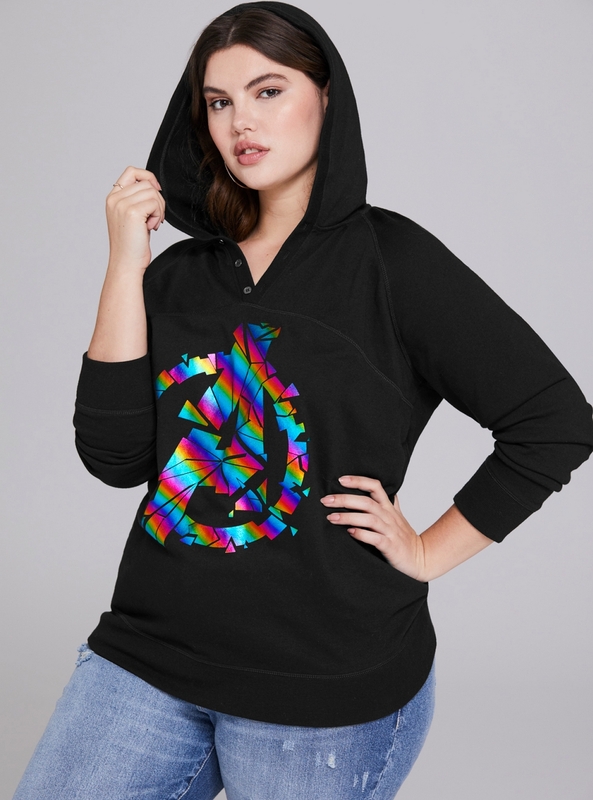 Shop the Avenger’s Collection, TODAY at Torrid.com! 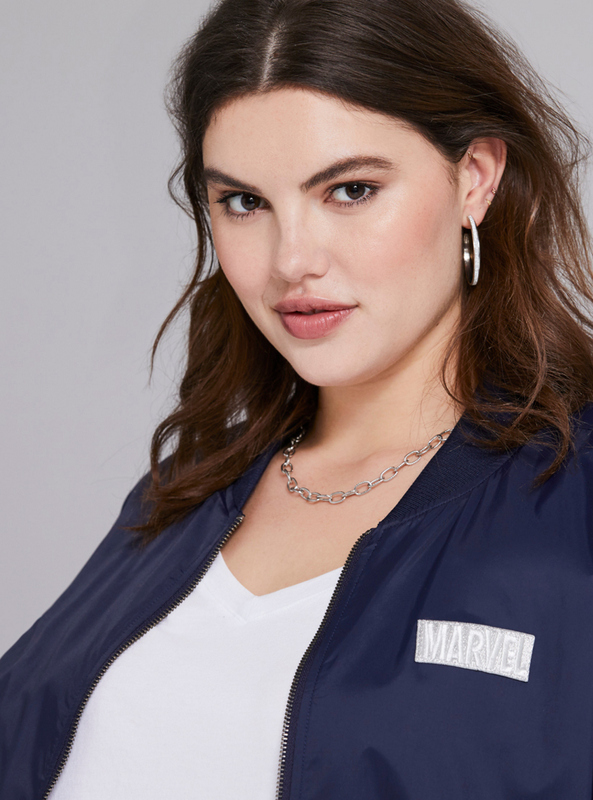 While you are over on Torrid, DO NOT forget to check out the uber fly options from Captain Marvel, too! Which pieces are you going to get? Did you find a few cute options to rock to watch Endgame? Are you one of the lucky ones who scored their premiere tickets already? When are you going to watch? Who are you dressing up as? Let us know what your plans are in the comments below! Dang it. Just take all my money, Torrid. Hehehehehe, right? But did you also see the Captain marvel collection too? I need a few of those jackets in my life!! !